Brace yourselves for three amazing Second Sunday Concerts. On February 11, 2018, our own Brenda Martin will be live in concert int he Sanctuary at 2:00pm. 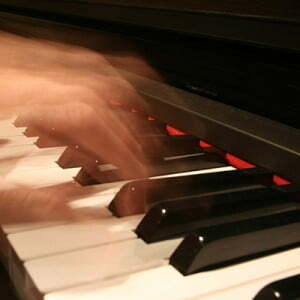 The 50 minute concert will feature the Jazz Stylings of Brenda’s amazing fluency at the keyboard. Special guests will be present to augment her marvelous jazz techniques. You won’t want to miss this concert. In March, we will be featuring the keyboard magic of Rodney Girvin, former PB UMC pianist and current organist at First Presbyterian Church of San Diego. Rodney will play both the piano and organ in this concert featuring a wide variety of great classical music. Our April concert will showcase a One Woman Cabaret by Erin Vanderhyde. Erin is our fabulous alto soloist. Her program will tell the compelling story of her journey through music featuring pop and show tunes. I have seen and hear this show and it is spectacular. Mark your calendar now for our Second Sunday concerts!! !